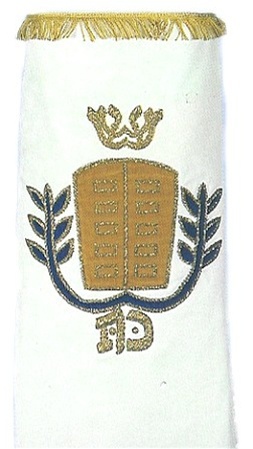 Appliqued torah mantle includes modern finish on the best velour. We have a large variety of additional custom styles - traditional and modern - as well as other color options and personalization. Please call if you need assistance ordering this item.